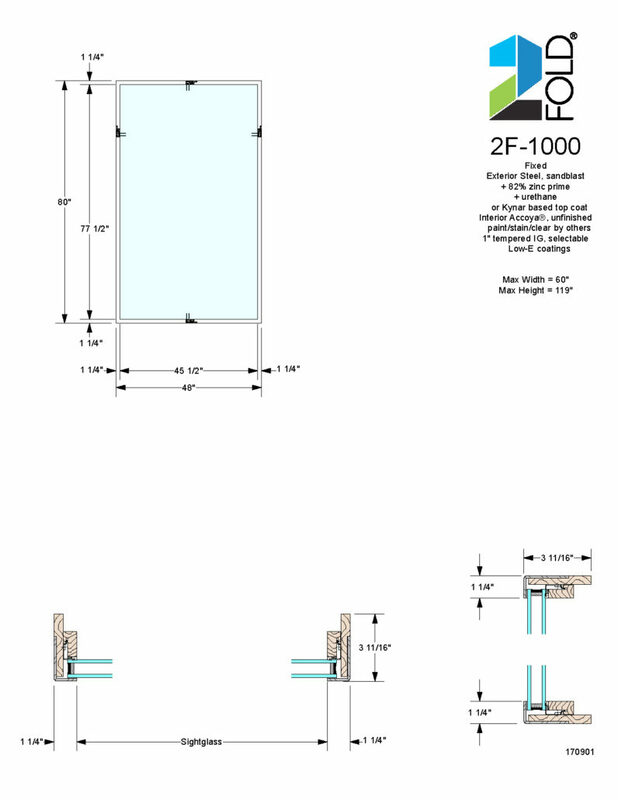 The 2F-1000 is the standard fixed window system. Also, this category includes the window wall group. The exterior and structural components are steel and the interior surfaces are Accoya®. Accoya® is the most stable and environmentally responsible wood in the world. The vertical and horizontal sections illustrated below demonstrate how incredibly thin this powerful system is. Awning windows are available with large sash sizes and thin frames. Because of this combination you get 35% more glass area. This translates to more natural light and a better view from the inside. 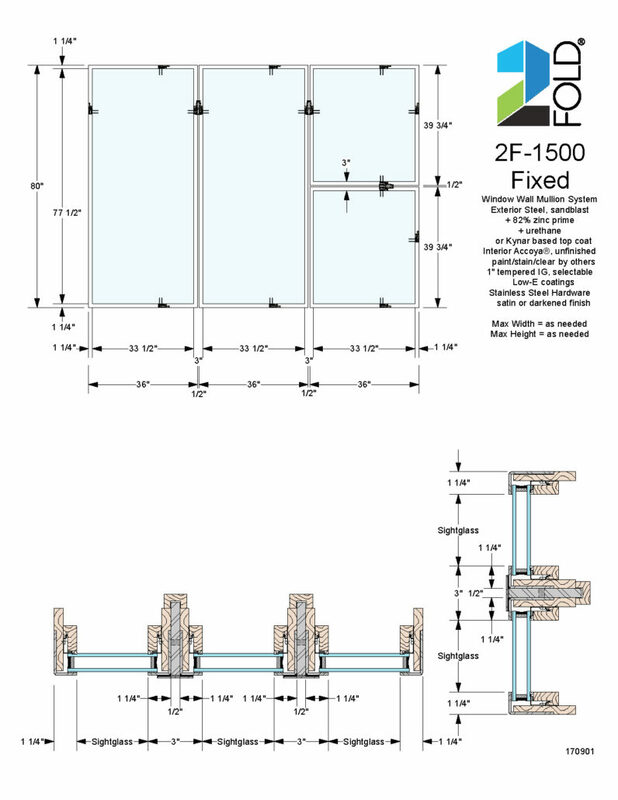 The window wall system can include any of the 2Fold® functional windows and doors. There are limitless combinations of large glass expanses, door egress, and ventilation. 2Fold® mullion is at the core of the window wall, which is solid steel with an Accoya® thermal interior. 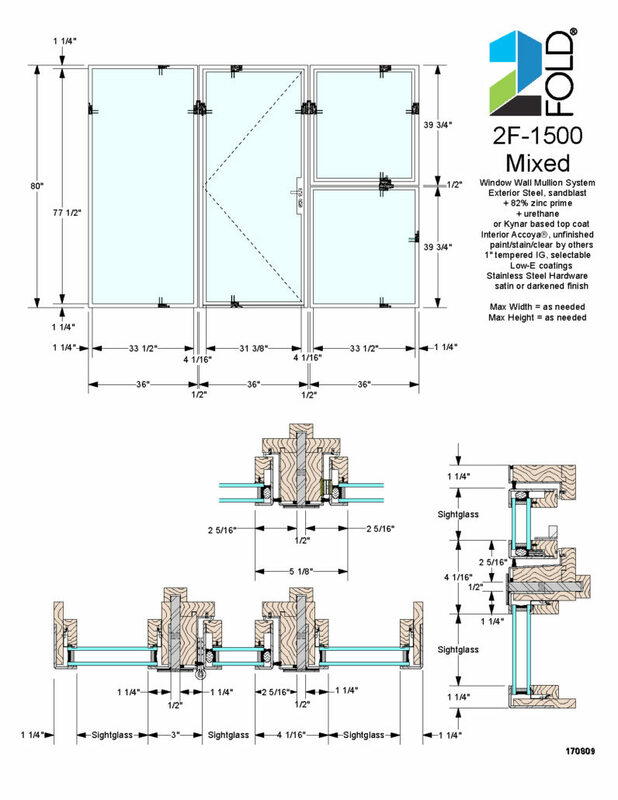 Unlike other steel window and door systems, this mullion does not require visible caulking joints. The aesthetic of this window wall is unparalleled.